We all want to have memorable experiences as far as travel is concerned. Our generation is addicted to telling stories through technology and there is no better way to narrate your fabulous tales with the help of Instagram. This social media platform has taken the world by storm, with so many features and photography enhancement tools, Instagram offers the best to people from all walks of life. In here, we’ll tell you how an ambitious traveler can make his/her Instagram page glamorous in a jiffy, with amazing photography skills, some fine edits and descriptive captions that are bound to make your Instagram page look unbelievably majestic. Today, we are going to take you to Bali, a highly popular tourist destination and a traveller’s delight. Bali is the right choice for visual delights as well as to increase your followers on your Instagram page. For your Instagram page to look alive and kicking, there are many best places to photograph in Bali. This tropical island will overpower your senses, right when you arrive, with its rich and vibrant beauty. 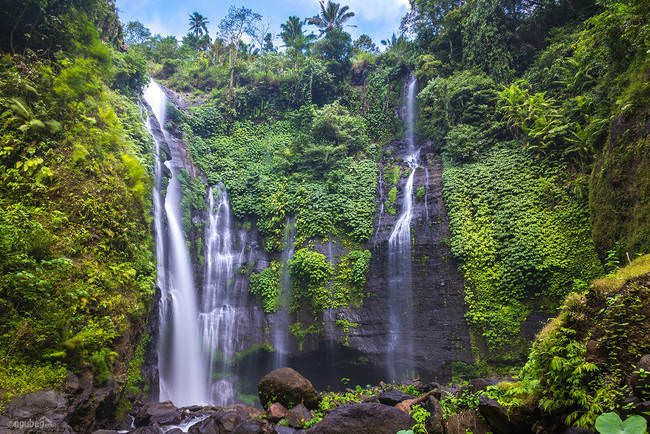 From beautiful sightseeing to lush landscapes to relaxing beaches to thrilling adventures to a paradise for shoppers, Bali is the focal point for all kinds of travelers. If Instagram is home for creative hashtags, then Bali is a favourable place to invent new hashtags. There are bountiful destinations to visit in Bali, each giving you an experience that God works in mysterious ways for you to enjoy the world. Here are some hotspots in Bali, that are a must visit, especially with a camera or a smartphone with an iconic lens. If this amazing spot is not captured for your first Instagram post, consider your trip to be incomplete. Pura Tanah Lot is a photographer’s delight. Tanah Lot temple is the most popular tourist destination and is famous for its amazing offshore setting and sunset backdrops. 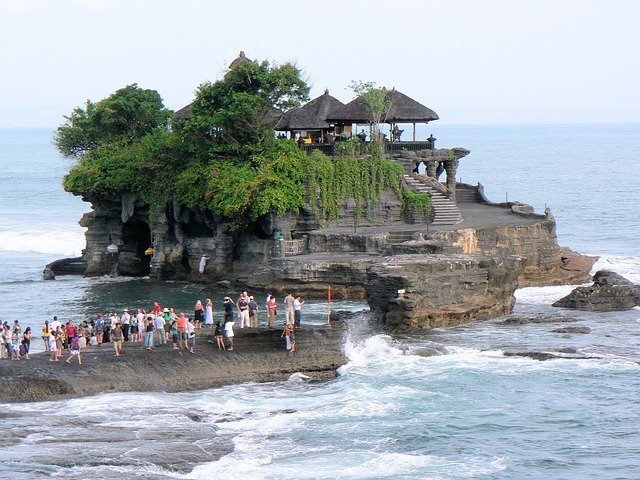 It offers a rich and cultural Hindu shrine resting on top of a rocky outcrop, surrounded by crashing waves. The temple was built in the 16th century by local fishermen, after they were ordained by a priest. This is quite a crowded place as tourists from various places come to witness the beautiful sun setting behind the temple. Trek to Mount Batur, to capture the sunrise above the misty layered mountains. This can easily be your second photo for your Instagram. Not only will your Instagram page get many followers, but you’ll also inspire people to get out of their slumber and travel. 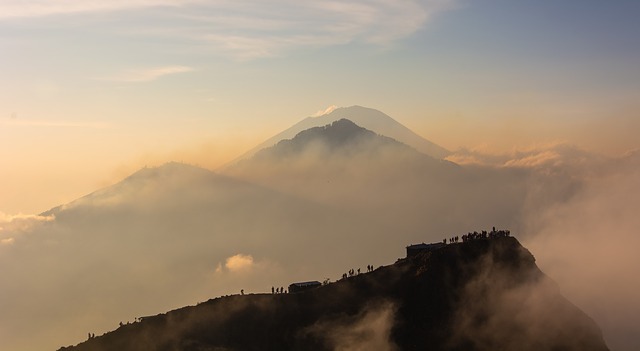 Mount Batur is a paradise for trekkers. This active volcano is situated in the Kintamani District in Bali’s central highlands. For your Instagram page, this place can be tagged as the third photo and you can spruce it up with a nice caption too. To have a comfortable experience, make sure you wear shoes with sturdy grips and wear cosy and comfortable clothes to combat the cool temperature. For tourists, this is one of the best sightseeing places in Bali. 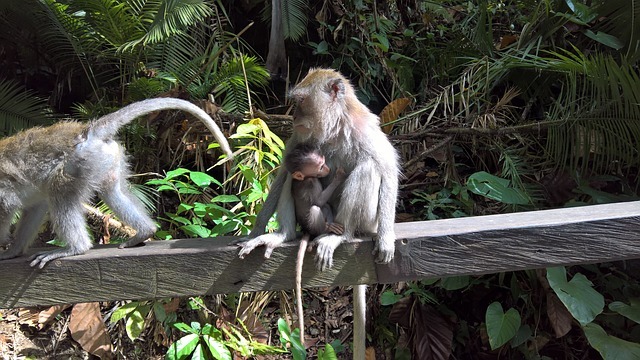 Visit the Monkey Forest, also popularly known as the Sacred Monkey Forest Sanctuary. If you want to spice up your Instagram page, this is it; your fourth photo is ready for Instagram. Start clicking a series of 12 photos of monkeys when they are monkeying around the banyan trees or simply relaxing into their own habitat. And trust us; you’ll be surprised at your photography skills. There are many Bali photography tours that don’t give this place a miss because they know it’s a visual delight. The main idea behind the temple’s existence is to bring awareness that humans and animals can co-exist in harmony. If photography is your passion, then go on a clicking-spree at Bali’s beautiful emerald-hued rice fields, the Tegallalang or Jatiluwih rice terraces. The 15th photo for your Instagram can be the rich rice fields. Tourists can also spend time relaxing at the cafes or restaurants that offer a splendid view of the lush fields. 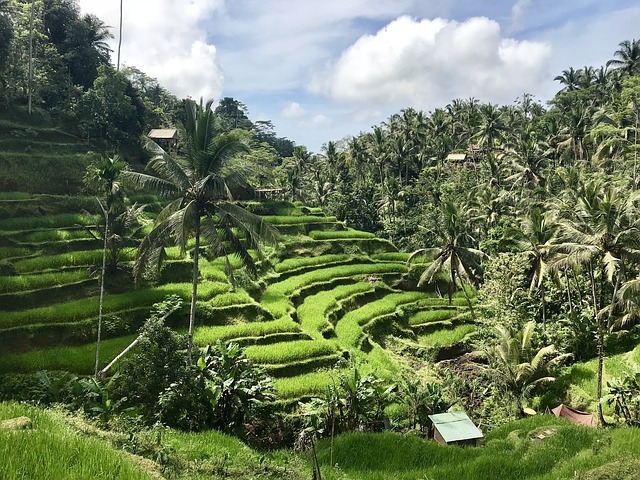 It is just a 90-minute drive from Ubud, the Jatiluwih rice terraces are spread across 600 hectares of rice fields along the hillsides of the Batukaru mountain range. 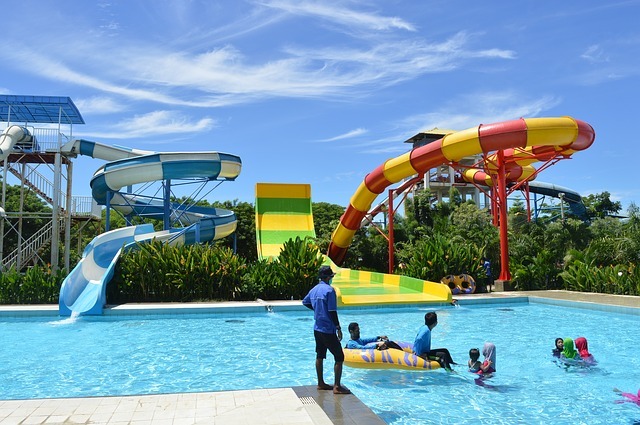 Looking for an action-packed day, head to Waterbom Bali and gear up to take your 16th, 17th, 18th and 19th photos for your Instagram because, here you can take candid photos of you, having the time of your life, while enjoying the many rides. Children can enjoy a plethora of rides and parents can pamper themselves with fish spa therapy. There are many restaurants and cafes at this place, where you can treat yourself with different foods. Are you tired of planning and visiting places? 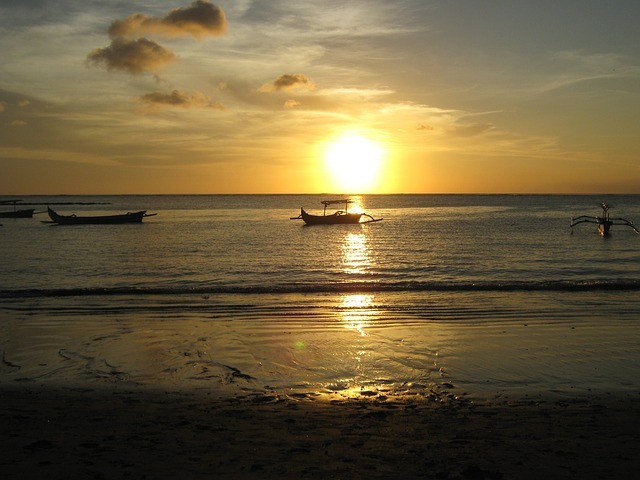 Give yourself a break and unwind at the Kuta Beach or visit neighbouring beaches – Legian and Seminyak. The beaches are perfect for your 20th and 21st photo for Instagram. One can be clicked while you are on the surf-board, performing stunts and another can be just with a good book and shades on. Do you want to create a good buzz on your Instagram page? 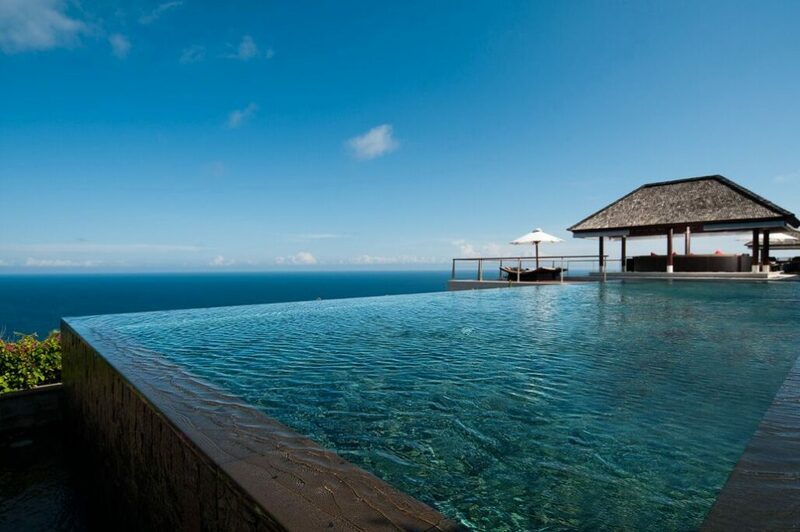 Head to the most captivating stunning pools in the world at the Edge Hotel, which offers spectacular views of the Indian Ocean. 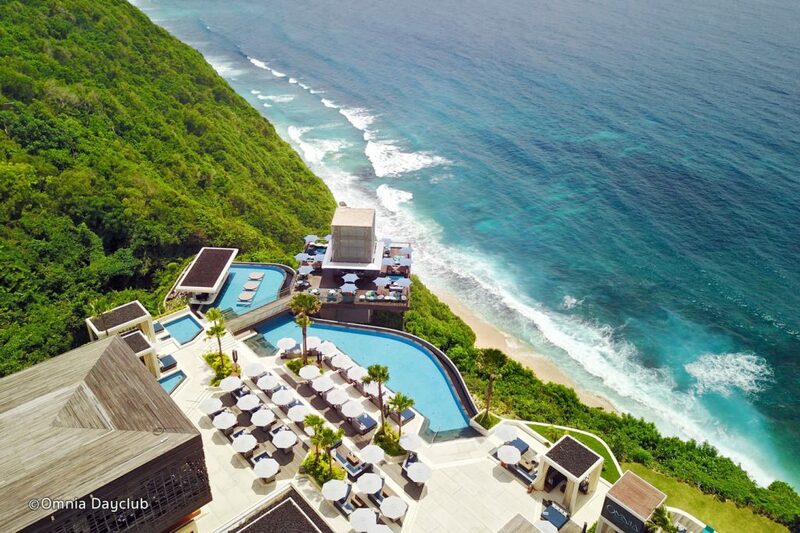 Placed on the edge of a 530ft limestone sea cliff in Uluwatu, Bali, The Edge is driven by luxury and provides the perfect setting for your Instagram to come alive. 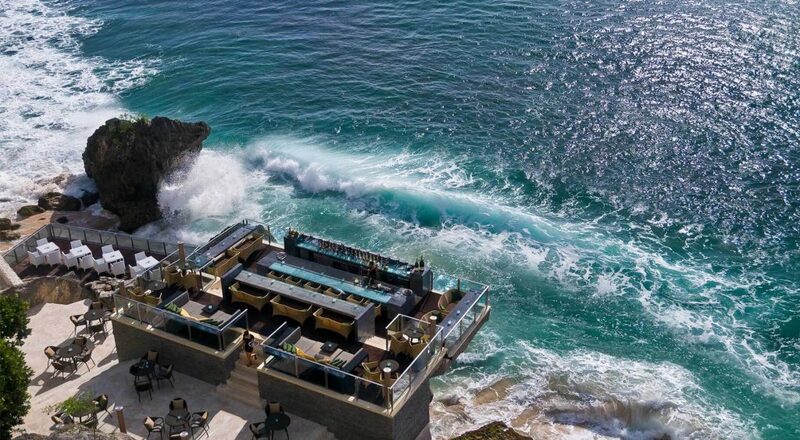 Enhance your Instagram profile with a photo of you relaxing and sipping on some coconuts at the cliff-topping beach club in Uluwatu. Omnia club is a paradise that can’t be missed. To get visually attractive photos, this place is perfect as it provides the right ambience and picturesque locations. 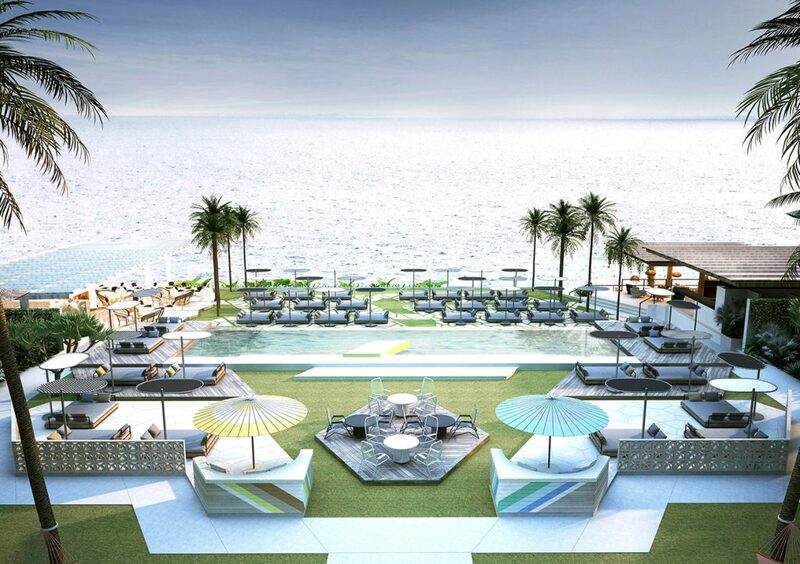 The club is home to larger than life swimming pools and VIP cabanas that give an enriching experience. At the end of your Bali trip, what better way to close your series of 25 photos for Instagram, with a bright, smiling selfie. With a visit to the most happening tourist destinations, devouring the best food and soaking yourself in nature’s best surprises. We are sure that you have taken home with you all the memories and cultivating gratitude for the best moments you had in Bali.